Dangerous Dog Laws have been updated – but will attacks stop? The recent updates to the dangerous dog laws, released on the 13th of May 2014, have made substantial changes to the legalities surrounding dog attacks. New offences have been created – for example, an owner can now be prosecuted for the violent or threatening actions of their dog on their own (private) property. The maximum prison sentence for those whose dogs cause fatal injury has increased significantly as well, to fourteen years. A dog does not have to bite to be deemed threatening, which is something not all owners are aware of, but should be conscious about. The new legislation also makes it an offence for your dog to attack a guide dog, and allows police to seize a dangerous dog from its environment – not just in public places, but in private settings too. The laws clearly intend to tackle the vicious attacks of the last few years by dogs in domestic settings. Jade Anderson was only a child when she was killed last year by four dogs in Wigan, and Eliza-Mar Mullane and Ava-Jayne Corless were only babies when they died due to being mauled. Since 2005, 16 people in the UK have died due to dog attacks. But can these new legislative changes, which increase the severity and scope of the law, stop dogs from being violent, and successfully tackle the problem at its source? We spoke to Jennifer Maloney from the leading Manchester law firm Pannone about the new legislative intervention. “The aim behind these government reforms is clear”, she said – “to ensure that the general public is safe from dog attacks”. The legislation tackles owners, “by encouraging dog owners to take responsibility for their pets – or face tough criminal consequences”. 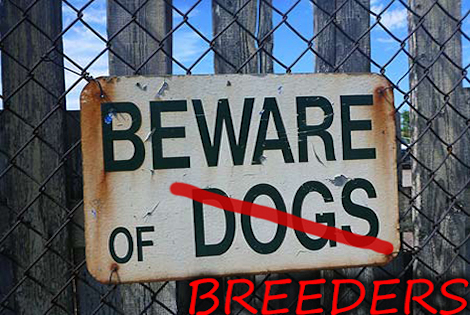 The media has whipped up a storm surrounding dangerous dogs; we are constantly bombarded by photos of the ‘banned breeds’, as well as snarling bull terriers of all breeds (which currently seem to be the face of the ‘dangerous dog’ phenomenon). These dogs are breeds which are protective of their ‘family’ unit, but any neurosis or over-protective tendencies can be avoided by early socialisation. Before bull terriers were ‘dangerous’ Rottweilers were tarred with this reputation, and before Rottweilers, Dobermanns. The breeds change, but the problem remains the same - the owners. A dog is often only as violent as the environment it has been bred into, and raised in. “The civil law implications for owners are serious”, Jennifer says. “The Animals Act 1971 imposes liability on owners who allow their dog to injure others. In 2013, 925 people were admitted to hospital with injuries caused by an animal attack during a six month period – dog attacks are a widespread problem”. But what if you acquired a dog which is impossible to control, or with an unpredictable temperament? The so-called ‘puppy farms’ where pups can so easily be acquired are certainly a root cause of this problem; that’s why Naturewatch are pushing for Early Day motion 412. The motion welcomes the commitments laid down in the legislative update, but wants to push further – to tackle the root cause and review dog breeding legislation, addressing the problem of unlicensed breeders. Puppy farms are like factory farms, where dogs are bred quickly and often cruelly, living in unbearable conditions. The puppies are removed from their mothers far too early and, due to the huge numbers of dogs breeding at once, are rarely domesticated or socialised. This fundamental flaw is where temperament problems can creep in – and they can creep in with any breed, pedigree or not, ‘dangerous dog’ or not. “The motion proposed goes a step further than the new legislation. It may help tackle one of the underlying causes of dog attacks”, Jennifer concluded. “It already has the support of 63 Members of Parliament”. Instead of simply targeting breeds, attacking poor and unregulated breeding conditions could drastically reduce the amount of dogs out there with behavioural problems due to neglect, abandonment and lack of domestication.